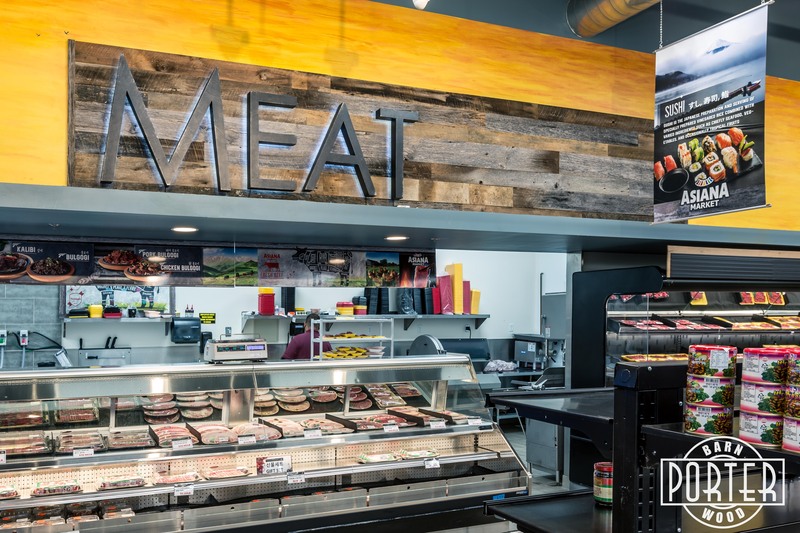 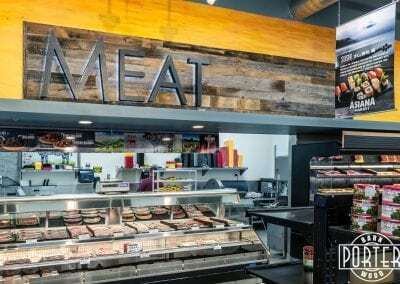 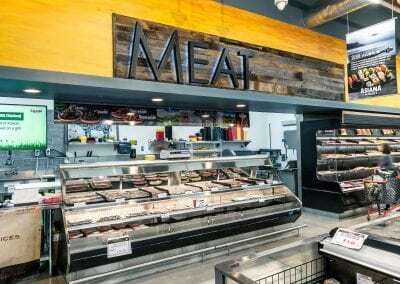 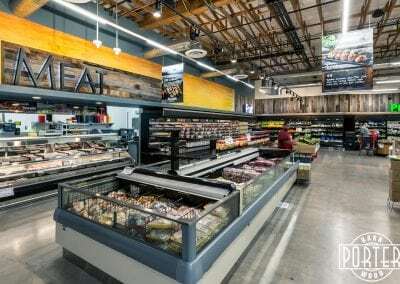 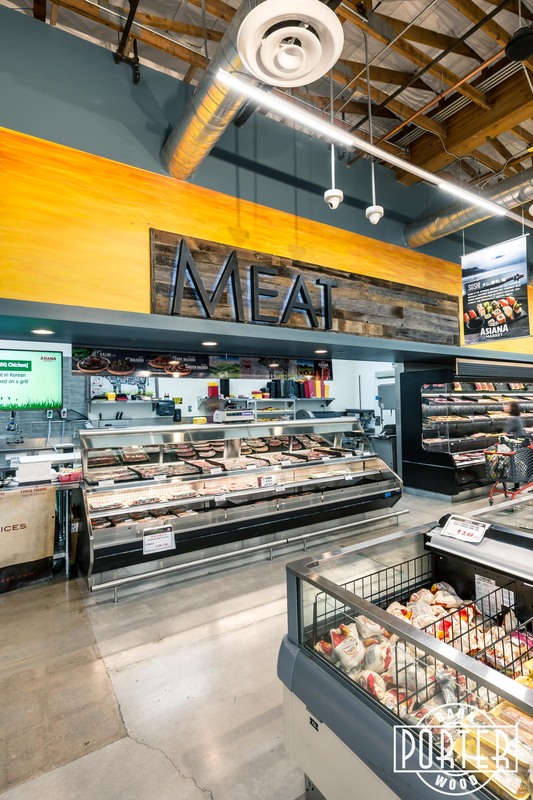 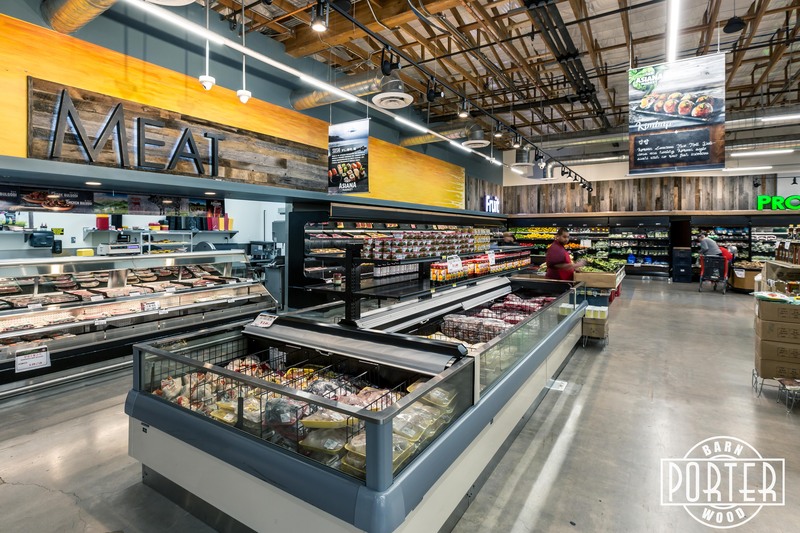 Asiana Market contracted us to do a custom gold/yellow faux paint and then install a tobacco barn grey wall feature and “MEAT” sign for the meat department in their store in Mesa. 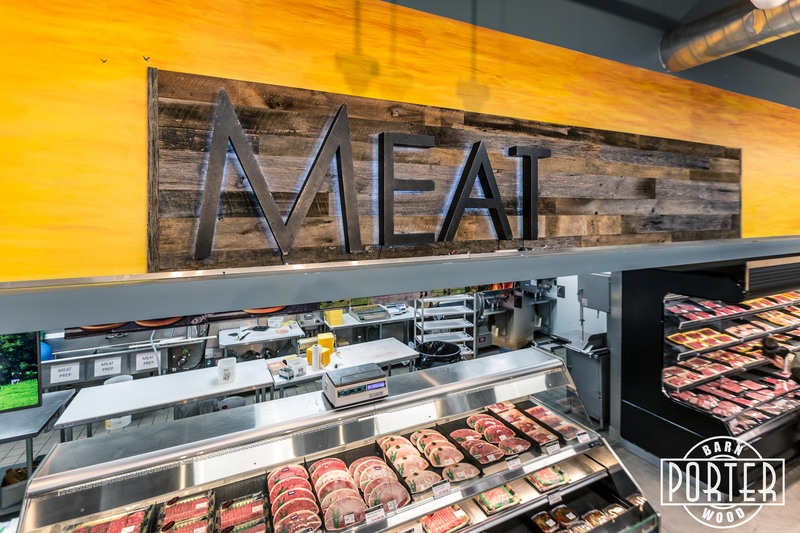 We did several projects on this job. 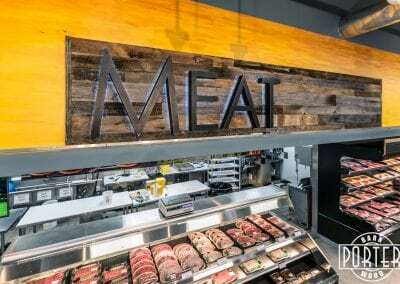 This sign is made from steel and is backlit with LEDs.